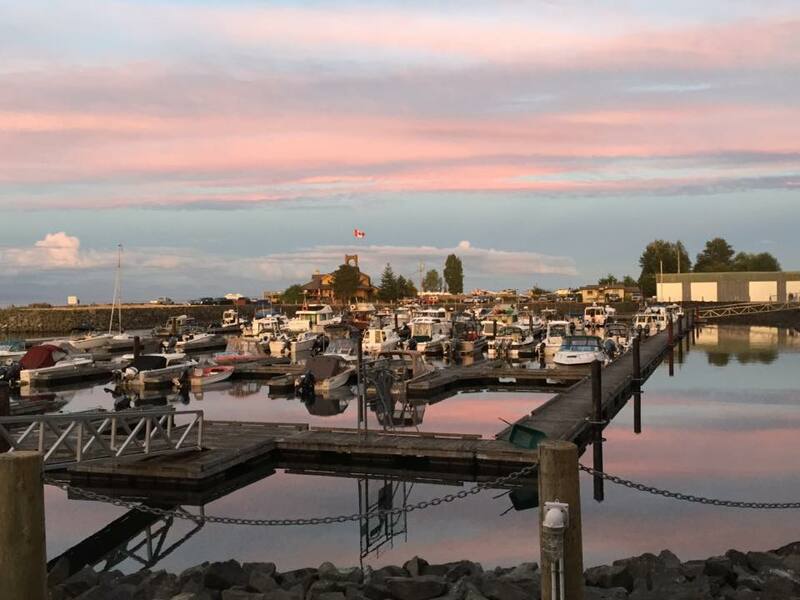 The marina at Salmon Point Resort is a safe haven for mariners along Georgia Strait. Our marina is recently renovated and space is available for power boats up to 32′. 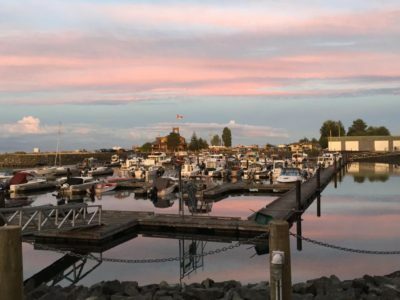 We offer secure moorage year round, with daily, weekly, monthly or seasonal rates. With fishing gear, fuel, boat ramp, boat cleaning facilities and other amenities available this is the perfect secure harbour for your boat. Our location between Campbell River and the Comox Valley offers easy access to Discovery Passage and Desolation Sound. Sorry, overnight stay aboards are not permitted. Fishing is a big part of why people come to Vancouver Island. We’re world famous: Campbell River is called the ‘Salmon Capital of the World’. Test your angling skills year round for record breaking salmon, trout and steelhead. Freshwater and saltwater fishing is at your doorstep at Salmon Point Resort. Enjoy fly fishing off the beach outside your door with the coastal B.C. mountains in the background. Fish for pink salmon or venture inland for trout and steelhead. 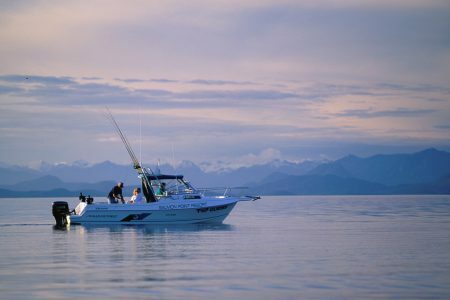 Bring your own boat, or rent one or hire a fishing charter to fish for salmon in the waters of Georgia Strait. No boat, no problem… Salmon Point Resort has 14′ rental boats with 15 hp motors if you’d like to try your own hand at fishing or climb aboard and take the family on a sightseeing adventure on the Georgia Strait. Sorry, boat rentals are available for Salmon Point Resort Guests only! We are also happy to arrange a fishing charter with experienced guides that make you, the customer, number one. Check out our business directory for additional links. No matter the season, there are always fish to be caught on Vancouver Island. See below for the best times for fishing throughout the year.